Home - Pacific Coast Terminals Pacific Coast Terminals Co. Ltd.
Fingerling Festival Port Moody Ecological Society May 4, 2019 http://noonscreek.org/fingerling-festival/ Help release salmon into Noons Creek! Bobs and Lolo in concert, over 70 environmental organizations and games and activities for kids of all ages! 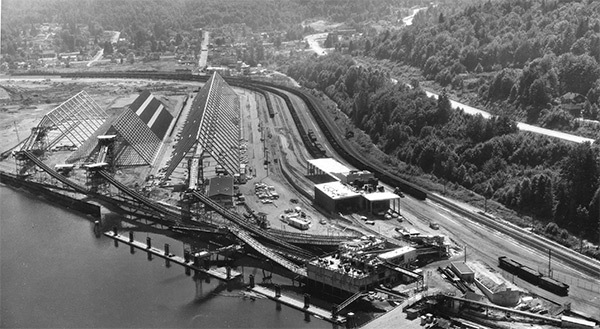 Established in 1929, PCT’s early years were in New Westminster, British Columbia, at the current site of the Westminster Quay Public Market, stretching west to the Scott Paper Site. For the first three decades, the company handled general cargo, including steel, wood, and refrigerated food such as apples and eggs. Check-out our live webcam to see vessels docked, and loading, at the terminal.